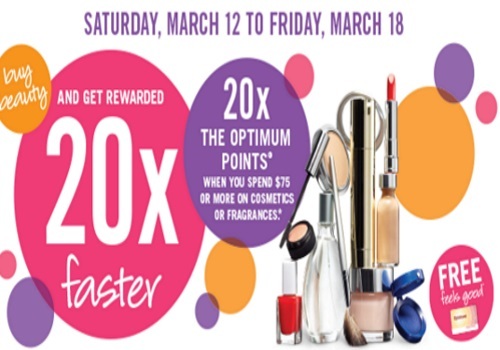 Shoppers Drug Mart has a week-long 20x Optimum Points event coming up! Get 20x the Optimum points when you spend $75 or more on cosmetics or fragrances. This offer is valid Saturday, March 12-Friday, March 18, 2016.